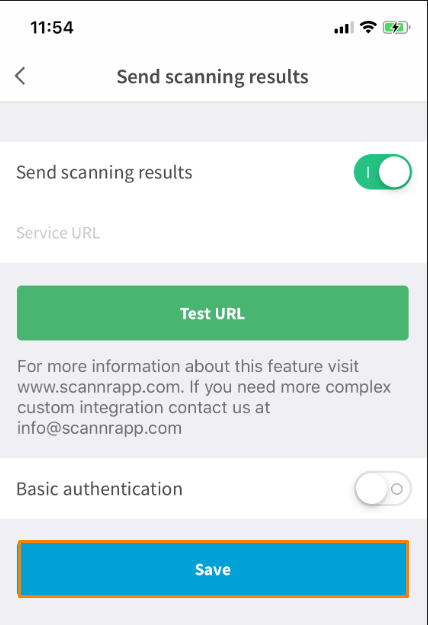 This article is a step by step breakdown on how to set up the Scannr App with HQ. 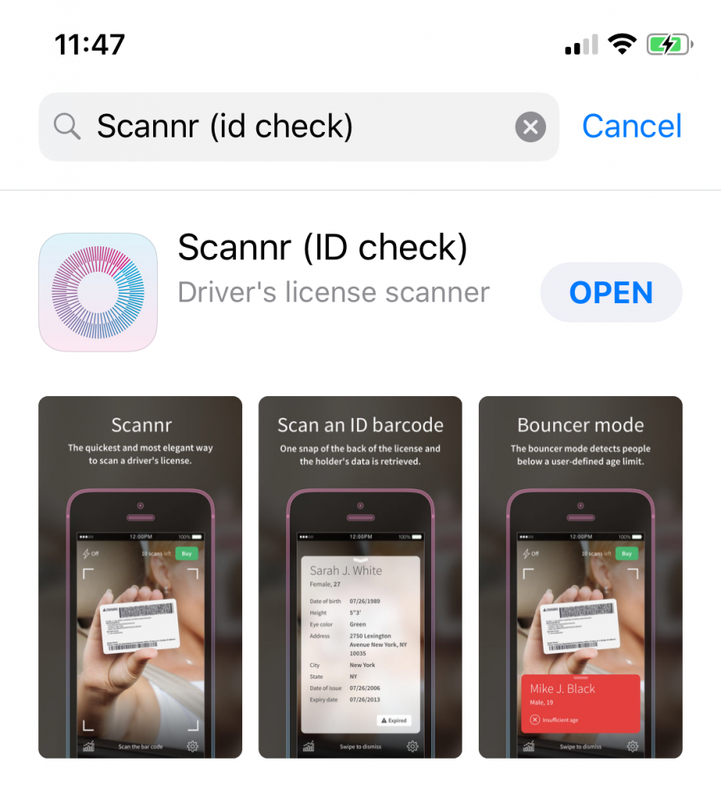 The Scannr app works with US Driver licenses only; you will only be able to do this integration if your tenant is located in the US. Firstly, download the Scannr App from the App Store or Google Play Store. You will have to key in Scannr (ID Check) into the search bar. For your convenience, the app will look like this in the picture below. Consequently, sign in with your Scannr credentials or register for one. The buttons are the blue “Log in” or red “Register” button highlighted in orange in the picture below respectively. This next step will be for registering a new account. If you have registered, you may skip this step. You will reach a new page as shown in the picture below after you click on the red “Register” button. Here, fill up the email that you will use to associate the account with, it will also be your login Username. Next, the password and you would need to retype the same password for confirmation. Lastly, press on the blue “Register” button as shown in the picture below. Next, the application will ask you to grant access to your camera. This is a crucial access that needs to be granted as this is how the application scans the barcode on the driver’s license. Thus, press on the “OK” button highlighted in orange in the picture below. Next, the application will prompt you with a legal notice that you must read. After that, press the “OK” button as shown in the picture below to continue. The next step of the application will let you know that the application uses Google Analytics. This, however, can be turned off in the settings should you not want it to collect information. Press on the “OK” button as shown in the picture below to continue. On the bottom right of the screen, there is a “Gear” settings button as shown in the picture below highlighted in orange. Navigate to that to open the settings menu. In the settings menu, tap on the setting “Send Scanning Results” as shown in the picture below highlighted in orange. Turn on the “Send Scanning Results” toggle. What happens after you switch the toggle is that you will see a Service URL field as shown in the picture below highlighted in orange. In your HQ System, navigate to Settings > Contacts > Contacts Category and you should see something like the picture below. 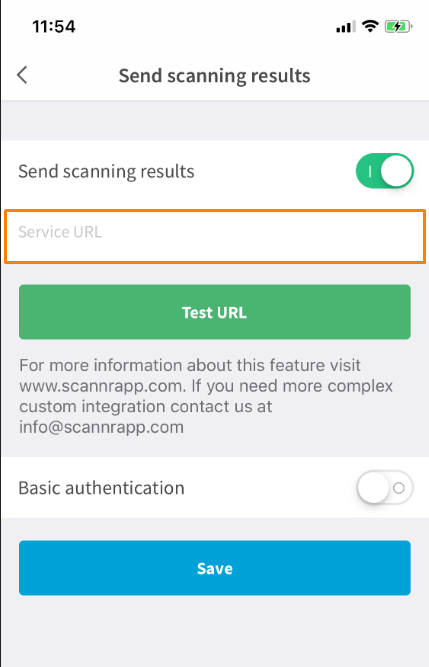 Type in the Scannr Webhook URL which is highlighted in orange in the picture below into the Service URL on your application that you see in Step 9. Click on the blue “Save” button highlighted in orange in the picture below once you have typed in the Webhook URL. Now when you send your drivers license using the app, it will automatically be mapped in the system.